Jeffrey T. Helm is a Licensed Real Estate Broker in the State of California. © Copyright 2012-2016 Helm Properties. ALL RIGHTS RESERVED. South Yuba is an unincorporated community in Yuba County, California. It is located on the Sacramento Northern Railroad 1.5 miles (2.4 km) south of Marysville, at an elevation of 66 feet (20 m). Stanfield Hill is an unincorporated community in Yuba County, California. It is located 3 miles (4.8 km) south-southwest of Oregon House, at an elevation of 1227 feet (374 m). The place was founded by William Stanfield in 1856. Stonyford (formerly, Stony Ford) is a census-designated place in Colusa County, California. It lies at an elevation of 1184 feet (361 m). Its zip code is 95979 and its area code is 530. Stonyford's population was 149 at the 2010 census. Strawbery Valley is an unincorporated community in Yuba County, California. It is located 8 miles (13 km) northeast of Challenge, at an elevation of 3757 feet (1145 m). A post office opened in Strawberry Valley in 1855. The origin of the name has two competing lines, either from wild strawberries found at the site or from two early settlers Mr. Straw and Mr. Berry. Sucker Flat (formerly, Gatesville) is an unincorporated community in Yuba County, California. It is located just northeast of Smartsville, at an elevation of 587 feet (179 m). Gatesville was named for an early settler from Illinois. Sucker is from the nickname of the State of Illinois at the time of the town's founding "The Sucker State". No records were kept as to why the town name changed from Gatesville to Sucker Flat. The Current nickname of the State of Illinois is "The Prairie State"
Tambo is a former settlement in Yuba County, California. It is located on the Western Pacific Railroad 6.5 miles (10.5 km) north of Marysville, at an elevation of 79 feet (24 m). Sutter (formerly South Butte and Sutter City) is a census-designated place in Sutter County, California. It is part of the Yuba City Metropolitan Statistical Area within the Greater Sacramento CSA. The population as of the 2010 census was 2,904, up from 2,885 at the 2000 census. Originally a settlement called South Butte, established in the vicinity of the stage station at Butte House east of the current town. It had a post office from August 7, 1871 until December 17, 1878 and from February 18, 1879 to January 20, 1888 when it was moved to the new Sutter City Post Office nearby. The Sutter Cemetery originally South Butte Cemetery, lies to the west on the stage road, and beside it was the school house, that was dismissed when there was a funeral. Recently the only market in Sutter changed its name to the "South Butte Market" though the name is a coincidence of location and not a throw-back acknowledgement to an earlier time in the Town's History. The the South Butte Maket is located on South Butte Road. Sutter City was the result of an attempt to take advantage of the boom in California in the late 1880s. The town was located south of the Cemetery along the path of a railroad line projected to pass through the town and it hoped to become the new county seat, because it was near the geographical center of the county. However the rail line was never built and it never became the county seat. The Sutter City post office name was changed to Sutter on January 26, 1895. The City of Live Oak, located in northern Sutter County has a population of approximately 8,500 residents. It is strategically located along the Highway 99 corridor between Yuba City and Chico, and has easy access to San Francisco, Lake Tahoe, and Sacramento. Live Oak residents enjoy the close by Feather River, local parks and abundant recreation opportunities in the area. Live Oak is a thriving rural community with many reasonably priced new homes, good local schools, and nearby colleges. Marysville (formerly Rancho Honcut, Rancho New Helvetia, New Mecklenburg, Jubaville and Yubaville), and is the county seat of Yuba County, California, United States. The population was 12,072 at the 2010 census, down from 12,268 at the 2000 census. It is included in the Yuba City Metropolitan Statistical Area, often referred to as the Yuba-Sutter Area after the two counties, Yuba and Sutter. The metropolitan statistical area is part of the Greater Sacramento area. In 1842, John Sutter leased part of his Rancho New Helvetia land to Theodore Cordua, a native of Mecklenburg in Germany, who raised livestock and, in 1843, built a home and trading post he called New Mecklenburg. The trading post and home was situated at what would later become the southern end of 'D' Street, Marysville's main street. In 1844, the Mexican government granted Cordua his own land grant, Rancho Honcut. In 1848, a former employee of Cordua, Charles Covillaud, discovered riches in the gold fields and bought half of the Cordua ranch. Then, in January 1849, Michael C. Nye and William Foster Nye, brothers-in-law to Covillaud's wife, Mary Murphy, bought the other half of the Cordua ranch. In the days of the Gold Rush, the ranch was a stopping point for riverboats from Sacramento and San Francisco that carried miners on their way to the digging grounds. A sign on the roadside as one enters Marysville carries the slogan: "Gateway to The Gold Fields." In 1850 a French surveyor was hired to create a plan for a town called Jubaville, later called Yubaville. The townsfolk decided to name the new town Marysville after Charles Covillaud's wife, Mary Murphy Covillaud, the former wife of William Johnson of Johnson's Ranch, and one of the surviving members of the Donner Party. After Marysville was incorporated by the new California Legislature, the first mayor was elected in 1851. A post office was established at Marysville in 1851. By 1853, the tent city had been replaced by brick buildings. The population was almost 10,000. By 1857, Marysville was a prospering city; in fact, it was one of the largest cities in California, due to strategic location during the Gold Rush. Over $10 million in gold was shipped from the banks in Marysville to the U.S. Mint in San Francisco. The city's founders imagined Marysville becoming "The New York of the Pacific." However, debris loosed by hydraulic mining above Marysville raised the riverbeds of both the Feather and the Yuba Rivers and rendered the city vulnerable to flooding during winter storms and spring run-offs. The city built a levee system that is still maintained today. The levee system sealed the city off and has made additional city growth virtually impossible; as such the population has not increased much since their construction and Marysville is known as "California's Oldest 'Little' City." While the levees have constrained the city's growth, Marysville has not flooded since 1875. The hydraulic mining debris also choked the Feather River and soon the riverboats could not make the trip to Marysville further limiting the city's growth potential. Mello is an unincorporated community in Yuba County, California. It is located on the former Southern Pacific Railroad line 4.5 miles (7.2 km) north-northeast of Marysville, at an elevation of 72 feet (22 m). Meridian is a census-designated place in Sutter County, California. Meridian sits at an elevation of 43 feet (13 m). It is in the Yuba City Metropolitan Statistical Area. The 2010 United States census reported Meridian's population was 358. Plumas Lake (ZIP code: 95961 and area code 530) is a master-planned exurb and census-designated place in Yuba County, California. Plumas Lake is located 30 miles (48 km) north of the city of Sacramento on the Feather River, just prior to its confluence with the Bear River and the Sacramento River. Construction of homes began early in 2003, and at full build-out the city will have roughly 12,000 homes and 36,000 residents. The community (which is unincorporated) is located about 10 miles (16 km) south of the city of Marysville in southern Yuba County. It lies at an elevation of 46 feet (14 m). The population was 5,853 at the 2010 census. Plumas Lake, California shares the same zip code as Olivehurst, California (a neighboring town). However, Plumas Lake stands as a separate community. Many individuals and agencies (including the U.S. Army Corps of Engineers) were opposed to the construction of this project due to the history of severe (15+ feet of standing water) flooding. Notable floods in the area occurred in 1986 and 1997. The future is much brighter given that the levies have been improved since 2004 and some are safely beyond the level of 100-year flood protection. With the whole improvement project completed Plumas Lake strives to be protected at a 200-year flood level. This will be the best flood protection in the entire state of California. A park and ride facility was opened on October 1, 2009 by Caltrans in the Plumas Lake area, along California State Route 70 and Feather River Blvd. In May 2009, A Walgreens pharmacy opened at the corner of River Oaks Blvd and Plumas Lake Blvd. This Walgreens is easily accessible from State Route 70 and is within walking distance for many residents. Princeton (formerly, Ket-tee) is a census-designated place in Colusa County, California. It lies at an elevation of 82 feet (25 m). Princeton's population was 303 at the 2010 census. Ramirez is an unincorporated community in Yuba County, California. It is located on the Southern Pacific Railroad 9 miles (14 km) north-northeast of Marysville, at an elevation of 95 feet (29 m). A post office operated at Ramirez from 1889 to 1890. Riego is a populated place located in Sutter County. The elevation is 49 feet. Riego appears on the Rio Linda U.S. Geological Survey Map. The Riego Market & Deli is the only permanent structure in Riego, California. Rio Oso is a census-designated place in Sutter County, California. Rio Oso sits at an elevation of 52 feet (16 m). The ZIP Code is 95674. The community is inside area code 530. The 2010 United States census reported Rio Oso's population was 356. Robbins is a census-designated place in Sutter County, California. Robbins sits at an elevation of 23 feet (7.0 m). The ZIP Code is 95676. The community is inside area code 530. The 2010 United States census reported Robbins's population was 323. Sharon Valley is an unincorporated community in Yuba County, California. It is located 1.25 miles (2.0 km) west-southwest of Challenge, at an elevation of 2274 feet (693 m). Sicard Flat is an unincorporated community in Yuba County, California, USA. It is located 3 miles (4.8 km) west-northwest of Smartville, at an elevation of 348 feet (106 m). The name honors Theodore Sicard, miner and merchant, who settled here in 1848. Smartsville (formerly, Smartville) is a census-designated place in Yuba County, California, in the foothills of the Sierra Nevada mountains of California. It is one of the many historic towns in California's gold country, and is today a California Historical Landmark. Located at an altitude of 669 feet (204 meters) Smartsville lies about 15 miles (24 kilometers) east-northeast of Marysville, along State Route 20. The population was 177 at the 2010 census. Smartsville is named for Jim Smart, a local hotel proprietor during the days of the Gold Rush. Other nearby Gold Rush towns with picturesque names are Timbuctoo, Sucker Flat, and Rough and Ready. Extensive placer mining tailings remain throughout the area. A post office was opened at Smartville in 1865. Due to a ruling by the U.S. Post Office Department (now the U.S. Postal Service), Smartsville became Smartville in 1909; this change was strengthened by a similar ruling by the United States Board on Geographic Names in 1947. In August 2008, the Board on Geographic Names ruled in favor of the form "Smartsville." Many Residents still use the name "Smartville" as the name does still appear on many signs in, and around, the area. The Smartville Cemetery is a historic cemetery. Abbott House is a former settlement in Yuba County, California. It was located on Dry Creek, 2.5 miles (4.0 km) west-southwest of Oregon House. It was founded in the 1850s, a named for its founder John M. Abbott. Algodon is a former settlement in Yuba County, California. It was located 7 miles (11 km) south of Olivehurst on the Northern Electric Railroad, at an elevation of 52 feet (16 m). Algodon still appeared on maps as of 1910. Alicia is an unincorporated community in Yuba County, California. It is located 1.5 miles (2.4 km) west-northwest of Olivehurst, at an elevation of 59 feet (18 m). Arboga is an unincorporated community in Yuba County, California. It is located 3 miles (4.8 km) south of Olivehurst on the Sacramento Northern Railroad, at an elevation of 56 feet (17 m). It was named in 1911 by the pastor of the Mission Covenant Church of Sweden for his hometown of Arboga, Sweden. During World War II, a Japanese American internment camp was located here. Arbuckle is a census-designated place in Colusa County, California. The population was 3,028 at the 2010 census, up from 2,332 at the 2000 census. The town entrance sign on Interstate 5 only says 864 people, but it's very old and hasn't been updated. The town of Arbuckle is situated in the southerly portion of Colusa County, approximately 20 miles (32 km) southwest of the City of Colusa, the county seat. Arbuckle is characterized by single-family residences, multiple-family units, some mobile homes, and commercial activities. The land surrounding Arbuckle is mostly agriculture including cultivated annual crops, and both active and unmaintained orchards (primarily almond). Regional access is provided by the north-south running Interstate 5. Two streams drain the area, the Salt and Elk Creeks. The Salt Creek flows north in the area, then bends east, and is joined by Elk Creek. Both streams join Sand Creek a half mile northeast of the town, and flow in a northeast direction. Salt Creek is subject to periodic flooding during heavy rainfall. Tacitus R. Arbuckle established a ranch here in 1866. The railroad came in 1875 and the town was founded and named for Arbuckle, on whose land it was built. The post office was established the following year, 1876. Bartons House is a former settlement in Yuba County, California. It was located on 1.5 miles (2.4 km) southwest of Strawberry Valley. Binney Junction is an unincorporated community in Yuba County, California. It lies at an elevation of 62 feet (19 m). Binney Junction is at the junction of the Western Pacific and Southern Pacific Railroads, 1 mile (1.6 km) from Marysville. Bliss is a ghost town in Yuba County, California, United States. It lay at an elevation of 82 feet (25 m). Bliss still appeared on maps as of 1895. Browns Valley (also, Brown's Valley) is an unincorporated community in Yuba County, California. It lies at an elevation of 269 feet (82 m). Browns Valley is located 12 miles (19 km) northeast of Marysville and is home to Collins Lake. The name was in honor of a settler who arrived in 1850 and discovered gold here. A post office was established at Browns Valley in 1864. Bullards Bar (also, Bullard's Bar) is a former settlement in Yuba County, California. It is located on the North Yuba River 6 miles (9.7 km) southeast of Challenge, at an elevation of 1909 feet (582 m). Bullards Bar was inundated by Bullards Bar Reservoir. A post office operated at Bullards Bar from 1866 to 1914. The name is in honor of Dr. Bullard, an early miner here. Not to be confused with "New Bullards Bar Reservoir", a large reservoir in northeastern Yuba County, California, at an elevation of 2,000 feet (610 m) in the Tahoe National Forest and about 30 miles (50 km) northeast of Yuba City, California. The 969,600 acre foot (1.1960×109 m3) reservoir is formed by New Bullards Bar Dam on the North Yuba River, a tributary of the Sacramento River. It also receives a portion of the Middle Fork's flow that is diverted to the reservoir via tunnels. California House is a former settlement and stage stop in Yuba County, California. It was located 1.5 miles (2.4 km) west-northwest of Dobbins. Camp Pendola (also, Pendola Ranch) is a former settlement in Yuba County, California. It was located 3.5 miles (5.6 km) northwest of Camptonville. Camptonville (formerly, Comptonville and Gold Ridge) is a small town and census-designated place located in northeastern Yuba County, California. The town is located 36 miles (58 km) northeast of Marysville, off Highway 49 between Downieville and Nevada City. It is located on a ridge between the North Fork and Middle Fork of the Yuba River, not far from New Bullards Bar Dam Reservoir. Camptonville lies at an elevation of 2825 feet (861 m). The population was 158 at the 2010 census. Gold was discovered here in 1850, and the place became known as Gold Ridge. The name was changed to Camptonville in 1854 when the first post office opened. The name honors Robert Campton, the town blacksmith. It was a center of the California Gold Rush and stopping point for travelers coming from Virginia City, Nevada (via Reno and Verdi) on the main route at the time, Henness Pass Road, or for those coming from the Donner Pass. The roaring town with over fifty saloons had brothels and even a bowling alley. After the tide of gold miners slowed, the local economy depended upon Camptonville's lumber mill. When it shut down, many of those that had not already left then departed. Fast-growing ponderosa pines rose throughout the town and most remnants of the original structures decomposed. Some buildings now present include the Lost Nugget gas station and convenience store, a post office, Camptonville Elementary School, a monument to the Pelton wheel, and the original Mayo Saloon. Of notable history are the Mountain House, Sleighville Inn, and the Oregon Creek covered bridge. Cape Horn Bar is a former settlement and mining camp in Yuba County, California. It was located on the Yuba River just above of Cordua Bar. The name was bestowed by miners from Connecticut who arrived here via Cape Horn. Catlett is a populated place located in Sutter County, California near the 99/70 Split. The elevation is 36 feet. Catlett appears on the Verona U.S. Geological Survey Map. Challenge-Brownsville, California is located in Yuba County. Nearby cities and towns include Clipper Mills, Dobbins, Forbestown, Rackerby and Robinson Mill. Challenge-Brownsville is a rural community with a population of 1,163. The median household income in Challenge-Brownsville is $50,348. 54% of residents are married and families with children reside in 18% of Challenge-Brownsville households. Half the population of Challenge-Brownsville commutes 27 minutes or more to work, with 80% of residents holding white collar jobs and 20% residents holding blue collar jobs. The median age of homes in Challenge-Brownsville, CA is 22 years, with 55% of those homes owned, 25% rented and 20% not occupied. In the previous year, 0 Challenge-Brownsville properties were sold. The median sale price of a home in Challenge-Brownsville in the previous year was $125,000. College City is a census-designated place in Colusa County, California. It lies at an elevation of 72 feet (22 m). College City's population is 290. Surrounded by rice fields along the Sacramento river, historic Colusa with its Victorian homes and shaded lanes harkens back to a simpler time. An hour’s drive from Sacramento, Colusa’s graceful Southern charm has attracted more than a few Hollywood directors. Thanks to a business friendly environment, Colusa has a wide variety of fine restaurants and community-minded businesses. Its rural setting makes it ideal for hunters looking for duck, turkey or geese. Quality schools supported by a close-nit community make Colusa ideal for growing families. In 1850, Charles D. Semple purchased the Rancho Colus Mexican land grant on which Colusa was founded and called the place Salmon Bend. The town was founded, under the name Colusi, by Semple in 1850. The first post office was established the following year, 1851. The California legislature changed the town's (and the county's) name to Colusa in 1854. The town flourished due to its location on the Southern Pacific Railroad. Several travelers rest stops were established at various road distances from Colusa, including Five Mile House, Seven Mile House, Nine Mile House, Ten Mile House, Eleven Mile House, Fourteen Mile House (also called Sterling Ranch), Sixteen Mile House (at the current location of Princeton, and Seventeen Mile House. The original settlement of what became Colusa was originally placed at the site of Seven Mile House but subsequently removed to its current site in 1850. Condemned Bar is a former settlement in Yuba County, California. It lay at the confluence of Dobbins Creek and the Yuba River 3 miles (4.8 km) south-southeast of Dobbins, at an elevation of 548 feet (167 m). Condemned Bar still appeared on maps as of 1947. The former settlement is registered as California Historical Landmark #572. Coombs is a former settlement in Yuba County, California. It was located on the Southern Pacific Railroad 11 miles (18 km) north-northeast of Marysville, at an elevation of 115 feet (35 m). Coombs still appeared on maps as of 1912. Cordua Bar (also, Cordua's Bar and Speck's Bar) is a former settlement in Yuba County, California. It was located on the north bank of the Yuba River northwest of Timbuctoo. The place was named after Theodore Cordua, local merchant. Speck's Bar was a corruption of the name of Jonas Spect, discoverer of gold on the Yuba River. Depot Hill is a former settlement in Yuba County, California. It was located 2 miles (3.2 km) north of Camptonville. Egan is a former settlement in Yuba County, California. It lay approximately 3 miles (4.8 km) north of Dobbins Ranch. Egan had a post office from 1896 to 1898. Empire House is a former settlement and stage stop in Yuba County, California. It was located 2.5 miles (4.0 km) north of Browns Valley on Little Dry Creek. English Bar is a former settlement and stage stop in Yuba County, California. It was located on the north bank of the North Yuba River 2 miles (3.2 km) downstream from Bullards Bar. The settlement started in 1851, when two English miners began working. Erle is a former settlement in Yuba County, California. It was located 6.25 miles (10.1 km) north-northeast of Wheatland, at an elevation of 115 feet (35 m). Erle still appeared on maps as of 1910; the former settlement is now part of Beale Air Force Base. A post office operated at Erle from 1892 to 1909. The name is in honor of a pioneer family. Foster Bar (also, Foster's Bar) is a former settlement in Yuba County, California. It was located on the North Yuba River 5.5 miles (8.9 km) southeast of Challenge, at an elevation of 1909 feet (582 m). It was inundated by the Bullards Bar Reservoir. The place was named after William M. Foster, miner and merchant, who opened a store here in 1849. A post office operated at Foster Bar from 1852 to 1866. Frenches Ravine is a former settlement in Yuba County, California. It was located 3.5 miles (5.6 km) south-southeast of Dobbins, at an elevation of 531 feet (162 m). It still appeared on maps as of 1895. Galena Hill is a former settlement and mining camp in Yuba County, California. It was located 1.5 miles (2.4 km) north of Camptonville, an elevation of 2815 feet (858 m). It still appeared on maps as of 1895. The place takes its name from a group of miners from Galena, Illinois who struck gold here in 1852. Galena House is a former settlement and stage stop in Yuba County, California. It was located 4 miles (6.4 km) north-northwest of Browns Valley. Garden Valley is a former settlement in Yuba County, California. It was located 3.25 miles (5.2 km) west-southwest of Camptonville, at an elevation of 1909 feet (582 m). It was inundated by Bullards Bar Reservoir. Golden Ball is a former settlement in Yuba County, California. It was located 1 mile (1.6 km) south-southeast of Oregon House. Huntington is a former settlement in Yuba County, California. It was located 5 miles (8.0 km) south of Arboga. A post office operated at Huntington in 1912. Hutchins is a former settlement in Yuba County, California. It was located 10 miles (16 km) north of Marysville. A post office operated at Hutchins from 1902 to 1903. The place was named for T.B. Hutchins, local landowner. Biggs is a primarily residential community that has maintained the small town character one might envision for such a community of fifty years past. Located only one mile from Highway 99, the main entrance to town is lined with walnut groves, passes several attractive home sites and the classic architecture of the Biggs Unified School District Administration building, and proceeds through a boulevard canopied by mature shade trees. Located in the southwest portion of Butte County, about sixty five miles north of Sacramento, the town was founded in 1871 by Mr. A. M. Pitts and Lewis Posey. It was named Biggs Station after Major Marion Biggs, a prominent local political leader. After two serious fires in the summer of 1878 a community water system was constructed. The town was rebuilt with brick stores and the word “Station” was dropped from the town name. By 1882 the town had 600 inhabitants and 280 registered voters. Chico is the most populous city in Butte County, California, United States. The population was 86,187 at the 2010 census, up from 59,954 at the time of the 2000 census. The city is a cultural, economic, and educational center of the northern Sacramento Valley and home to both California State University, Chico and Bidwell Park, one of the country's 25 largest municipal parks and the 13th largest municipally-owned park. Bidwell Park makes up over 17% of the city. The nickname "City of Roses" appears on the Seal of the City of Chico, California. Chico, also known as the "City of Trees", has been designated a Tree City USA for 27 years by the National Arbor Day Foundation. The town of Paradise is spread out on a wide ridge which rises between deep canyons on either side. These canyons are formed by the west branch of the Feather River to the east, and Butte Creek to the west. The town is approximately 8 miles (13 km) east of the city of Chico, and 10 miles (16 km) north of the Oroville area. 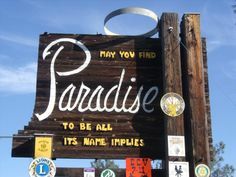 A legend persists that the town was named because it was the home of the Pair o' Dice Saloon, an idea supported by the fact than an official 1900 railroad map referred to the town as "Paradice". However, Gene Sylva, a former mayor of the nearby town of Oroville, has stated that the saloon story is false, and that the true etymology of the town's name is traced to his great-great-grandfather, William Pierce Leonard, who named the town on a summer day in 1864, after a hot and dusty ride from the Sacramento Valley. Arriving at his sawmill while the staff were on break, Leonard "took a deep breath of the cool, clean air, and exclaimed, 'Boys, this is paradise.'" Gridley is growing and changing, becoming livelier, more active, and more festive than ever before. You can see it in the historic buildings being restored to their former glory. You can see it in the new storefronts blossoming throughout the area. And you can see it in the partnerships among retailers, developers, the community, and the city. The City of Oroville is located in Butte County in the Sierra Nevada Foothills within the Northern Sacramento Valley. The City is considered the gateway to Lake Oroville and Feather River recreational areas. Lake Oroville, which is adjacent to the City, is the second largest lake in California. Lake Oroville was created with the construction of the Oroville Dam, the tallest earthen dam in the United States. The lake offers many sporting activities throughout the year, such as skiing, sailing, swimming, fishing, camping and picnicking. The recreation areas in the greater Oroville area are some of the most significant attractions in the Oroville region. The California Department of Parks and Recreation reported over one million visitors to Lake Oroville State Recreation Area in 2005. The number of visitors has increased significantly over the last decade. Bangor is located in northwest California. Bangor lies within Butte county along the Butte Yuba County line. Bangor has 13.42 square miles of land area and has no water area. As of 2010, the total Bangor population is 646. Bangor median household income is $46,696 in 2006-2010. Bangor median house value is $272,400 in 2006-2010. On average, the public school district that covers Bangor is close to the state average in quality. Berry Creek, CA is located east of Lake Oroville and is defined as the entire geographic area covered by the 95916 area code. Geographically, it is the largest community in Butte County. A diverse range of residents call Berry Creek home, but all have one thing in common - the desire to live in a beautiful, vibrant, and active community. If you've never been to Berry Creek, come take the drive around Lake Oroville sometime and pay us a visit; you'll be glad you did! Butte Creek Canyon is a census-designated place in Butte County, California. Butte Creek Canyon sits at an elevation of 1024 feet (312 m). The 2010 United States census reported Butte Creek Canyon's population was 1,086. Butte Meadows is a census-designated place in Butte County, California, 5 miles off State Route 32 on Humboldt Rd. The area is about 45 minutes or 33 miles (53 km) east of Chico on SR32. Its elevation is listed at 4,340 feet (1,323 m) above sea level: certain to get snow in winter of any year. The area is just over one mile (1.6 km) from the Tehama County line. The post office that served Butte Meadows moved back and forth across the county line several times from 1878 to 1888. Butte Meadows' population was 40 at the 2010 census. Butte Valley is a census-designated place named for a former settlement in Butte County, California, United States. It is located 5.5 miles (8.9 km) southeast of Chico. A post office operated at Butte Valley from 1861 to 1871, when it was re-located to Durham. Butte Valley sits at an elevation of 351 feet (107 m). The 2010 United States census reported Butte Valley's population is 899. Named Cherokee because gold was found here in 1850 by a band of Cherokee indians, this town's main claim to fame is that it is the site of the worlds greatest hydraulic gold mine. The mine covered 26,000 acres with 100 miles of sluice. In Cherokee's heyday (1875), there were over 1000 residents. Also, the first diamonds discovered in America were discovered here, the largest weighing 6 carats. Clipper Mills (also, Clipper Mill) is in Butte County, California. It lies at an elevation of 3550 feet (1082 m). The local newspaper is the Rabbit Creek Journal. Clipper Mills has a post office, first established in 1861 and moved in 1891. Its zip code is 95930. Clipper Mills's population was 142 at the 2010 census. Clipper Mills' history and economy is centered on the lumber industry. A sawmill started operating nearby in 1852, and by 1855 Clipper Mills had its own sawmills. Cohasset (formerly, Keefers Ridge and North Point) is a census-designated place in Butte County, California, approximately 17.7 miles (28.5 km) NNE of Chico, California. Its main street is named Cohasset Road, which comes from the Algonquian Indian language and means "long rocky place". The population was 847 at the 2010 census. The town is a mountain community at 2,828 feet (862 m) above mean sea level. It sits on Cohasset Ridge: an eleven-mile (18 km) ridge running roughly southwest-to-northeast. In the mid-19th century the local lumber and farming operations began, prior to which the Maidu inhabited the area for many generations. By the early 20th century, Cohasset was famous for its high quality apples. Today, they are better known for peaceful country living, the Annual Cohasset Bazaar, and the beauty of the Cohasset Ridge. A post office operated at Cohasset from 1888 to 1920. Concow (formerly, Con Cow) is an unincorporated community and census-designated place(CDP) in Butte County, California. It is named after the Native American tribe that is indigenous to the area, the Concow Maidu . The original inhabitants of the area ate salmon from the Feather River, acorns and pine nuts from the trees in the area, venison, and other sources of food which abounded in the California foothills. Starting in 1828, northern trappers made contact with the Concow region Maidu and permanent settlements began in 1856. Soon after began death from diseases, such as malaria, that the Maidu have no natural immunity. In addition to disease, the State of California ordered all non-European people of California - including the Maidu - exterminated in return for a $5.00 ($134.95 in 2010 US$) cash bounty for each verified male killed. The population was 710 at the 2010 census. Durham is a census-designated place (CDP) in Butte County, California, United States. The population was 5,518 at the 2010 census. Durham was founded by the Durham Family. It is named for W. W. Durham, member of the California State Assembly. The Durham House still stands today as a reminder of what Durham was back in its early years. Durham was a town in which a railroad ran through and still does today. The railroad is what developed this town and kept it alive. The Durham Flour Mill, which burned down several times, was an integral part of this community. On June 1, 2011, a tornado rated at EF-1, struck south of Durham, uprooting thousands of almond trees, destroying an out building and damaging a barn. Forbestown California is a sleepy community in the foothills of the Sierras and in the Plumas National Forest. Part of Butte County and Yuba County, at an elevation of 2840 feet, located approximately 100 miles north east of Sacramento. . The Forbestown area first attracted worldwide attention when gold was discovered in California. Mining soon gave way to ranches and sawmills. Today logging is the major industry in the district. Forest Ranch is a census-designated place in Butte County, California. Forest Ranch's population was 1,184 at the 2010 census. The US Geological Survey reports the town's elevation as 2,415 feet (736 m) above mean sea level. The eastern end of the community is about 3,500 feet (1,067 m): about 1,000 feet (305 m) higher. This is high enough that residents occasionally get "snowed in." Residents east of the center of the community report the snowfall is heavy enough to prevent driving about one to three days each year. This is only true of homes not located along State Route 32. Some residents commute to work in Chico, about fifteen driving miles west on SR32. Forest Ranch post office was opened in 1878, closed in 1926, and re-established in 1932, and moved several times in 1938 to its present location. Honcut (formerly, Moores Station) is a census-designated place in Butte County, California. It lies at an elevation of 108 feet (33 m). Lower Honcut Rd. links the community to California State Route 70. Honcut is very near the Butte-Yuba County line. Honcut's post office was established in 1856 and moved back and forth several times between Butte and Yuba Counties, before being closed for good in 1943. Honkut is a former Maidu Indian settlement in Yuba County. It was also located very near the Butte-Yuba County line, its precise location is unknown though many believe that it came to be a part of Moores Station and led to the changing of the name of the town to Honcut. Honcut's population was 370 at the 2010 census. Kelly Ridge is located in northwest California. Kelly Ridge has 1.95 square miles of land area and has no water area. As of 2010, the total Kelly Ridge population is 2,544. Kelly Ridge median household income is $46,354 in 2006-2010. Kelly Ridge median house value is $247,900 in 2006-2010. On average, the public school district that covers Kelly Ridge is worse than the state average in quality. Magalia (formerly: Mountain View, Butte Mills, and Dogtown)is a census-designated place in Butte County, California, United States. The population was 11,310 at the 2010 census. Originally established after the 1849 California Gold Rush as a mining camp, the town was first called Mountain View. A dog breeding operation started in 1850 which led to the name Dogtown. A post office opened in 1857, which was shared with the adjacent settlement of Mill City; the two eventually united. In 1861 the name was changed to Magalia after the Latin word for cottages. On April 12, 1859, at the Willard Claim, a hydraulic mine in the Feather River Canyon northeast of the town, a 54-pound (20 kg) gold nugget was discovered, the largest in the world at the time. Dubbed the "Dogtown nugget", it made the town famous. According to the United States Census Bureau, Magalia has a total area of 14.1 square miles (37 km2), all of it land. There are numerous flora and fauna species found in the vicinity including mammals such as Black tailed deer, raccoon and grey squirrel. Nord is a census-designated place in Butte County, California. Its zip code is 95973 and its area code is 530. It lies at an elevation of 151 feet (46 m). Nord's population was 320 at the 2010 census. A post office operated at Nord from 1871 to 1933, with an interruption from 1919 to 1920. Palermo is a census-designated place in Butte County, California. The population was 5,382 at the 2010 census, down from 5,720 at the 2000 census. The town was named after Palermo, Sicily due to its excellent climate for growing olives. The first post office was established in 1888. The area was home to a country club, two railroad stations, gold mining, a brick yard, library, general mercantile store, school and even a semi-pro baseball team. The rich clay soil attracted the planting of olive and orange orchards and a thriving zucca melon industry. Mining magnate George Hearst purchased 700 acres in 1888, and then subdivided. There is an annual festival held every September centered at Palermo Park to help raise funds to support the Palermo Community Council's Sheriff Substation. Rackerby (formerly, Hansonville) is a census-designated place straddling the border between Butte County and Yuba County in California. It is 24 miles (39 km) north-northeast of Marysville, at an elevation of 1,184 feet (361 m). Rackerby's population was 204 at the 2010 census. The Rackerby post office opened in 1892 in Yuba County, moved to Butte County in 1930, and moved back in 1934. The name is in honor of William M. Rackerby, its first postmaster. Richvale (also, Richland, Silbys Switch, Silsby) is a small census-designated place in Butte County, California, USA, south of Chico and west of Oroville. The primary crop grown in the area surrounding Richvale is rice, irrigated from the Oroville Dam on the Feather River. Several farmers in the area are known for organic farming. The population was 244 at the 2010 census. Legend says that the name "Richvale" (meaning "fertile valley") was coined by con men to sell worthless plots of land to wheat farmers from Nebraska and Kansas. The developers (Richvale Land Company) changed the name from Selby Switch (a railroad siding) to Richvale in 1909. The place was settled in 1911, and a post office opened that same year. Farmers in the Midwest were shown lush pictures of California's San Joaquin Valley and Central Valley and sold land at outrageous prices. The soil near Richvale is nothing like the fertile soil of the San Joaquin Valley, being composed mostly of clay instead of loam. The locals call the soil "adobe" due to its high clay content. The land is unsuitable for vineyards, orchards, and most other crops. Some buyers took one look at the soil and returned to the Midwest. Those who stayed built a community from the muddy ground up. Due to the adobe soil's ability to retain water and remain flooded, the ground makes a near-ideal rice paddy, and rice has become the primary crop of the area. Irrigation is provided by surface water from the plentiful Feather River. With time and a lot of hard work, the town of Richvale lived up to its name as rice farming provided an abundant livelihood for the original settlers and their offspring. Robinson Mill (also, Robinson Mills, Robinson Ranch, Robinson Sawmill, Robinsons Mill, and Robinsons Rancho) is a census-designated place in Butte County, California. It lies at an elevation of 2654 feet (809 m). Robinson Mill's population was 80 at the 2010 census. Stirling City is a census-designated place in Butte County, California, located on Paradise Ridge in the western foothills of the Sierra Nevada. Stirling City had a population of 295 at the 2010 census. Stirling City is located at 39°54′28″N 121°31′41″W, around 45 miles (32 km) northeast of Chico, California. It is built around a loop (which terminates a winding spur line) of the Southern Pacific Railroad, built to collect lumber from the Lassen National Forest. It was founded in 1903 by the Diamond Match Company of Barberton, Ohio, as a center for processing cut lumber from the surrounding forests. Diamond Match official Fred Clough named the city, taking the name from the boiler used at Diamond's Baberton plant, made by the Stirling Boiler Company. The sawmill closed in the early 1970s. The land surrounding Stirling City is still harvested for timber, and the cleared area is farmed for cattle, fruit, and nuts. Thermalito is a census-designated place in Butte County, California, United States. The population was 6,646 at the 2010 census, up from 6,045 at the 2000 census. The area is generally considered a part of Oroville, and borders the town on two sides, in addition to the near-enclave of the city of Oroville surrounded by Thermalito on all sides, with the exception of the extremely narrow spit of land connecting Afterbay to Oroville proper. Yankee Hill (formerly, Rich Gulch and Spanishtown) is a census-designated place in Butte County, California. It is located 6.5 miles (10.5 km) east-southeast of Paradise, at an elevation of 1982 feet (604 m). The population was 333 at the 2010 census. Rich Gulch was settled in 1850. When Chilean and Spanish miners arrived in the 1850s, the place was renamed to Spanishtown. New Englanders settled later, applying the current name. A post office operated at Yankee Hill from 1858 to 1951. A modern day post office is still in operation at the Pines Hardware Store, 11300A Miller Flat Rd. in Yankee Hill. Kentucky Ranch is a former settlement and mining camp in Yuba County, California. It was located 1.5 miles (2.4 km) southwest of Dobbins. Landers Bar is a former settlement in Yuba County, California. It was located on the Yuba River, 1.25 miles (2.0 km) north-northeast of Smartsville. Lasslys is a former settlement in Yuba County, California. It was located 3 miles (4.8 km) west of Woodleaf, at an elevation of 2697 feet (822 m). It still appeared on maps as of 1897. Lewis is a former settlement in Yuba County, California. It was located 2.5 miles (4.0 km) south-southeast of Arboga on the Sacramento Northern Railroad. Malay Camp is a former settlement and mining camp in Yuba County, California, United States. It was located on the Yuba River, 1.25 miles (2.0 km) north-northeast of Smartsville, across the river from Landers Bar. The place name refers to the early miners here from the Malay Peninsula. Marigold (formerly, Martins) is a former settlement in Yuba County, California. It was located 5 miles (8.0 km) south-southwest of Browns Valley, at an elevation of 108 feet (33 m). It still appeared on maps as of 1911. A post office operated at Marigold from 1911 to 1929. The name is from Marysville Gold Mining Company. Gold dredging was practiced at Marigold in the early 20th century. Martins House is a former settlement in Yuba County, California. It was located 2 miles (3.2 km) west of Oregon House. Mission is a former settlement in Yuba County, California. It was located on the Southern Pacific Railroad, 1 mile (1.6 km) north-northeast of Ramirez. New York Flat is a former settlement in Yuba County, California. It was located 3.25 miles (5.2 km) west-northwest of Challenge, at an elevation of 2375 feet (724 m). It still appeared on maps as of 1895. New York House is a former settlement in Yuba County, California. It was located 1.5 miles (2.4 km) south-southwest of Challenge. New York House Flat is a former settlement in Yuba County, California. It was located 1.5 miles (2.4 km) west of Challenge. The place was the site of hydraulic mining. New York Ranch is a former settlement in Yuba County, California. It was located 3 miles (4.8 km) west of Challenge. Newbert is a former settlement in Yuba County, California. It was located 9 miles (14 km) east of Marysville. A post office operated at Newbert from 1881 to 1898. The place was named for Leander Newbert, its first postmaster. Oak Grove is a former settlement in Yuba County, California. It was located on Dry Creek 2.5 miles (4.0 km) west-southwest of Oregon House, at an elevation of 1158 feet (353 m). The site is covered by the Virginia Ranch Reservoir. Oakland is a former settlement in Yuba County, California. It was located 11 miles (18 km) north of Marysville on the Feather River. Oliver is a former settlement in Yuba County, California, USA. It was on the Western Pacific Railroad 1 mile (1.6 km) south of Marysville, at an elevation of 52 feet (16 m). It still appeared on maps in 1952. Oso is a former settlement in Yuba County, California. It was located on the Western Pacific Railroad 1.5 miles (2.4 km) south of East Arboga. Plumas is a former settlement in Yuba County, California. It was located 1.25 miles (2.0 km) south-southeast of Arboga on the Sacramento Northern Railroad. Plumas Landing (also, Plumas and Plumas City) is a former settlement in Yuba County, California. It was located on Feather River, 9 miles (14 km) south of Marysville. It was founded in 1850, by John Sutter as a trading center for miners. Plumas post office operated from 1860 to 1862. Prairie Diggings (also, Hole in the Wall) is a former settlement and mining camp in Yuba County, California. It was located 3 miles (4.8 km) north-northwest of Browns Valley near the headwaters of Prairie Creek. It was founded in 1854. Prairie House is a former settlement and stage stop in Yuba County, California. It was located 2.25 miles (3.6 km) north of Browns Valley. Prairie House is a former settlement in Yuba County, California. It was located 8 miles (13 km) north-northeast of Marysville. The place appears on maps as of 1861. Rail Road Hill is a former settlement in Yuba County, California. It was located 1 mile (1.6 km) northeast of Camptonville. The name is due to the iron rails used to carry dirt to the sluice boxes. Reed Junction is a former settlement in Yuba County, California. It was located 1 mile (1.6 km) north-northwest of Arboga on the Sacramento Northern Railroad. Round Tent is a former settlement in Yuba County, California. It was located 1.25 miles (2.0 km) east-southeast of Waldo Junction. A post office operated at Round Tent from 1853 to 1860. The name was due to a hotel that operated under a round tent. Seneca House is a former settlement and travelers stop in Yuba County, California. It was located between Eagleville and Strawberry Valley. Sweet Vengeance is a former settlement and stage stop in Yuba County, California. It was located 1 mile (1.6 km) north-northwest of Prairie Diggings. Taisida (also, Taichida, Taitcedawi, and Tychedas) is a former Maidu Indian settlement a few miles south of Marysville, California in Yuba County. Its precise location is unknown. Youngs Hill is a former settlement in Yuba County, California. It was located 2 miles (3.2 km) north-northeast of Camptonville, at an elevation of 2707 feet (825 m). It still appeared on maps as of 1895. The place was named for William Young and his brother, discoverers of gold here in 1852. Not to be confused with Yuba City, California or Yuba County, California. Yuba (also, Rupert Siding and Rupert) is a former settlement in Yuba County, California. It was located on the Southern Pacific Railroad 1.5 miles (2.4 km) north-northwest of Olivehurst, at an elevation of 62 feet (19 m). It still appeared on maps as of 1895. Yuba County House is a former settlement in Yuba County, California. It was located 5.5 miles (8.9 km) southwest of Oregon House. Dantoni is an unincorporated community in Yuba County, California. It is located 4.25 miles (6.8 km) east-northeast of Marysville, at an elevation of 85 feet (26 m). Dobbins (formerly, Dobbin, Dobbins Ranche, Dobbins Ranch, and Dobbin's Ranche) is a census-designated place in Yuba County, California. It lies 26 miles (42 km) northeast of Marysville, at an elevation of 1742 feet, in the foothills of the western Sierra Nevada Mountain Range off of Highway 20 and Marysville Road. Dobbins is north of Oregon House and south of Bullards Bar Dam. Dobbins has one post office, one general store, 2 churches, a grange hall, one elementary school, one charter school, and Lake Francis Resort. The town was settled in 1849, and named for William M. and Mark D. Dobbins, early settlers. The first post office was established in 1851 under the name Dobbins Ranche'; it closed in 1854. The post office returned in 1887 and has operated continuously since. A mining camp, Kentucky Ranch was located 1.5 miles (2.4 km) to the southwest. Egan, which had a post office from 1896-1898 was 3 miles (4.8 km) north. Frequently in the winter seasons it is subject to periodic snowfalls that close roads. Most students attend high school in Marysville, CA or in the Sierra County school district. Eagleville is an unincorporated community in Yuba County, California. Eagleville is 1.25 miles (2.0 km) north-northeast of Strawberry Valley. The community is in a rural area near the intersection of Yuba, Butte, and Plumas County lines. There is no post office. Elevation above mean sea level was listed as 3,757 feet (1,145 m). Eagleville was settled about 1851 and named for the nearby Eagle Mine. East Arboga is an unincorporated community in Yuba County, California. It is located on the Western Pacific Railroad 2.5 miles (4.0 km) south of Olivehurst, at an elevation of 56 feet (17 m). East Nicolaus is a census-designated place in Sutter County, California. East Nicolaus sits at an elevation of 43 feet (13 m). The 2010 United States census reported East Nicolaus's population was 225. It is home to East Nicolaus High School (ENHS), a public school that serves grades nine through twelve. The ENHS mascot is the Spartan. ENHS also has an active Future Farmers of America (FFA) chapter. Frenchtown is an unincorporated community in Yuba County, California. It is located on Dry Creek 6 miles (9.7 km) southeast of Rackerby, at an elevation of 1447 feet (441 m). The town was started by a French man named Vavasseur. Greenville (formerly, Oregon Hill) is an unincorporated community in Yuba County, California. It is located on Little Oregon Creek 4.25 miles (6.8 km) southeast of Challenge, at an elevation of 2182 feet (665 m). A post office operated at Greenville from 1857 to 1860. Nicolaus is a census-designated place in Sutter County, California. Nicolaus is part of the Yuba City Metropolitan Statistical Area. Nicolaus sits at an elevation of 26 feet (7.9 m). The 2010 United States census reported Nicolaus's population was 211. It is named after Nicolaus Allgeier, local rancher. The town's former names included Nicolaus Ferry, and Nicolaus' Ranche. Nicolaus Allgeier established a ferry at what later became the town of Nicolaus in 1843 to cross the Feather River on the road between Sutter's Fort and Sutter's Hock Farm. The town was established in 1850 and has had a post office since July 28, 1851 making it one of the oldest post offices in the state. Nicolaus was an early major stopping point on the Feather River during the California Gold Rush. It was the county seat of Sutter County in 1850-1851 and again 1852-1856 except for two months in 1854 when it was located in Yuba City. The area was described by R.T.P. Allen, Special Agent of the United States Government for the purpose of selecting early post offices in California as "a most beautiful country...[t]he country bordering the Feather River (near Nicolaus) is by far the most fertile and most beautiful I have seen in California." Nicolaus was once home to a significant Chinese American community, but it violently drove all its Chinese American residents out of town in March 1886. It was also home to a large mixed population of Maidu Indians and Hawaiians, or Kanakas which has since relocated to El Dorado County, California. The Hawaiians or Kanakas are descendants of workers brought over by John Sutter in 1839. The town itself has approximately 110 residents and the outlying area has a population of roughly 600. The town is located just off State Highway 99 and adjoins the Feather River. The State Highway used to go through the town but a major flood in 1955 tore out the bridge over the Feather River and the town's commercial district has declined since that time. The area is unique in that it has retained its rural character yet is only 20 minutes north of Sacramento, the state capital. The economy of the Nicolaus area is driven by farming and walnut orchards and rice farming, predominate. The town of Nicolaus is the site of an annual Labor Day parade which attracts visitors from throughout the state. North Star (formerly, North Star House) is an unincorporated community in Yuba County, California. It is located 2 miles (3.2 km) northeast of Strawberry Valley, at an elevation of 4019 feet (1225 m). Not to be confused with Northstar California (previously Northstar-at-Tahoe) a mountain resort situated near the north shore of Lake Tahoe in Placer County, California. Oak Valley is an unincorporated community in Yuba County, California. It is located 5.5 miles (8.9 km) south-southeast of Strawberry Valley, at an elevation of 3012 feet (918 m). Olive Hill is an unincorporated community in Yuba County, California. It is located 3.25 miles (5.2 km) west-southwest of Loma Rica, at an elevation of 190 feet (58 m). Olivehurst (formerly, Denniston) is a census-designated place in Yuba County, California. The population was 13,656 at the 2010 census, up from 11,061 at the 2000 census. Olivehurst is located 4 miles (6.4 km) south-southeast of Marysville. Olivehurst was first largely settled by people from the Midwest during the Great Depression who were looking for fertile land, availability of jobs, and a better future. People from the town have been known to refer to this group of people as Okies. "Okies" is a term originally for those from Oklahoma who were escaping the "dust bowl" Oklahoma had become during the Great Depression. This is why some of the streets are named after cities in Oklahoma. The economy has been largely focused on agriculture, but since the 1950s jobs have been increasingly focused on mill and manufacturing work. Today's economy is centered around a "commuter economy" where many of the residents work outside of the town. A bridge connecting Olivehurst with the Shanghai Bend area of South Yuba City has been proposed numerous times to aid in traffic flow for commuters. Oregon House is an unincorporated community in Yuba County, California. It is located 22 miles (35 km) northeast of Marysville, at an elevation of 1526 feet (465 m). The settlement grew up around a travelers' rest stop built in 1852. A post office was established at Oregon House in 1854, closed in 1902, and reopened in 1903. New Bullards Bar Dam, one of the highest dams in the world, is about 6 miles away. Ostrom (formerly, Reed and Reeds Station) is an unincorporated community in Yuba County, California. It is located on the Southern Pacific Railroad 3 miles (4.8 km) southeast of Olivehurst, at an elevation of 69 feet (21 m). A post office operated at Reeds Station in 1871. The prior names were in honor of Henry Reed who settled here in 1850. Pearson is an unincorporated community in Yuba County, California. It is located on the Sacramento Northern Railroad 2.5 miles (4.0 km) south-southwest of Olivehurst, at an elevation of 52 feet (16 m). Pleasant Grove (formerly Gouge-Eye and Pleasant Grove Creek) is an unincorporated community in Sutter County, California. Pleasant Grove is 7.5 miles (12.1 km) southeast of Nicolaus. Pleasant Grove has a post office with ZIP code 95668. The community originated as a wagon and freight stop, and it earned the nickname Gouge-Eye after a saloon fight in which one man gouged out the eye of another. The post office opened as Pleasant Grove Creek in 1867, became Pleasant Grove in 1875, and moved 1.5 miles (2.4 km) east in 1940. Timbuctoo is an unincorporated community in Yuba County, California. It lies northwest of Smartsville, at an elevation of 397 feet (121 m). There was a time when people used the word Timbuctoo to describe some unknown place far, far away, like "From here to Timbuctoo," not having the remotest idea if there was a "Timbuctoo" and if there was where it was. Timbuctoo was once the largest town in eastern Yuba County. Situated strategically on the Yuba River near its gold-bearing sandbars, yet perched high enough into the river's surrounding hills to escape flood risk, the town enjoyed its heyday in the 1850s. Originally founded by the gold miners working the nearby river placer deposits, the town enjoyed further success with the introduction of hydraulic mining in 1854. Unlike many of the mining camps that amounted to little more than tent shantytowns, the wealth flowing from Timbuctoo allowed for the construction of permanent buildings of wood and brick. Aside from the usual stores and businesses, the town's amenities included a Wells Fargo office, saloons, a church, hotels and a theater. The town officially was founded in 1855. Legend has it that a refugee slave from the South named the town. Slavers had brought him to America from West Africa. His hometown was Timbukto. He was a hard worker and when he discovered the yellow metal in his pan, he asked his fellow miners if he could call the place Timbuktu. They agreed and the town had a name with some American changes in spelling. The town grew steadily until it became home to 1200 people. After panning, hydraulic mining was the way to go until the Sawyer decision in 1884 put a stop to this method of mining. And with it, the town became a ghost town. There is one remaining stone building left Timbuctoo. Timbuctoo was once a minor tourist attraction, enjoying public awareness of its historical significance and widespread enthusiasm for preservation. Despite all of these factors in its favor, Timbuctoo remains today an example of a failed preservation effort. Trowbridge is a census-designated place in Sutter County, California. Trowbridge sits at an elevation of 52 feet (16 m). The 2010 United States census reported Trowbridge's population was 226. Waldo Junction (formerly Waldo and Cabbage Patch) is an unincorporated community in Yuba County, California. It is located on Dry Creek 9.5 miles (15.3 km) northeast of Wheatland, at an elevation of 256 feet (78 m). A post office operated here from 1898 to 1915. Originally called Cabbage Patch in 1852, the name changed to Waldo upon the opening of the post office. The name is honor of William Waldo, an early settler. Weeds Point is an unincorporated community in Yuba County, California. It is located 2 miles (3.2 km) south of Camptonville, at an elevation of 2917 feet (889 m). The name is in honor of a miner who abandoned his claim in 1853, twelve years before mining became profitable here. Linda is a census-designated place in Yuba County, California, United States. The population was 17,773 at the 2010 census, up from 13,474 at the 2000 census. Linda is located 2 miles (3.2 km) north-northwest of Olivehurst. The townsite was originally laid out in 1850 by John Rose at the furthest navigable point on the Yuba River, on the south bank above Marysville. The town at that site lasted only two years before moving to its present location. The original site is buried under tailings from hydraulic mining. Woodleaf (formerly, Barker House, Barker Ranch, Barker's Ranch, and Woodville) is an unincorporated community in Yuba County, California. It is located 2.5 miles (4.0 km) northeast of Challenge, at an elevation of 3133 feet (955 m). A post office operated at Woodleaf from 1898 to 1971, with a closure from 1945 to 1947. Originally named after Charles Barker who settled here in 1850, the name now honors James Wood who bought the property in 1858. Young Life operates a camp in Woodleaf. Wheatland is located in Northern California’s Central Valley along State Route 65 in Yuba County. The City is located approximately one mile north of the Bear River and the tri-county boundary of Sutter, Place, and Yuba Counties. Marysville (the county seat) and Yuba City, which are both about twelve miles to the north of Wheatland, are the closest cities of significant size. Sacramento is approximately forty miles to the south and Beale Air Force Base is located eight miles to the northeast. Wheatland is also the gateway city to Camp Far West, a recreation area of regional significance. From the city’s nineteenth century agrarian roots to the community of today. Wheatland is still valued by its residents for its small town atmosphere and rural setting. Williams is a community of approximately 5,300 people located at the crossroads of Interstate 5 and State Route 20, 60 miles north of Sacramento and mid-way between the Sierras and the Pacific Coast. Located in the heart of the Sacramento Valley, Williams is an agriculturally oriented community. Rice, tomatoes, vine and seed crops, walnuts, almonds, hay, grain, and cattle are raised in the area surrounding the city. The average rain fall is 16 inches annually. Temperatures are moderate, although on rare occasions the winter temperature may dip below freezing and in the summer the temperature may reach 110 degrees. Williams was founded in 1874 and was first known as Central. In 1876 it was later renamed Williams to honor William Williams, who gave much of the land for the townsite. It was made a General Law City on May 20, 1920. Just north of California’s Capitol in Sacramento, Yuba City offers a business climate and lifestyle unmatched in the State. This growing metropolitan area of over 168,000 provides unique opportunities for small and medium-sized businesses to thrive serving both the local area and the greater Sacramento Valley. Yuba City has retained the atmosphere and friendliness of a small town while managing new businesses, retail and residential development. The redevelopment of Yuba City’s downtown Plumas Street into a destination shopping district – have established Yuba City as a regional hub. The economy is growing on the emergence of new technologies and opportunities, particularly at Beale Air Force Base, while embracing new developments in traditional industries including agriculture, manufacturing and building materials. Grimes (formerly, Grimes Landing) is a census-designated place in Colusa County, California on the Southern Pacific Railroad. It lies at an elevation of 46 feet (14 m). Grimes' population was 391 at the 2010 census. Hammonton (formerly, Dredgertown and Dredgerville) is an unincorporated community in Yuba County, California. It is located 3.5 miles (5.6 km) south of Browns Valley, at an elevation of 131 feet (40 m). A post office operated at Hammonton from 1906 to 1957. The original name was due to gold dredging which took place here. The current name is in honor of W.P. Hammon, a gold-dredging company official. Horstville is an unincorporated community in Yuba County, California. It is located 2 miles (3.2 km) northeast of Wheatland,at an elevation of 112 feet (34 m). A post office operated at Horstville from 1898 to 1901. The name is in honor of Clemens Horst, local rancher. Iowa City is an unincorporated community in Yuba County, California. It is located 3.5 miles (5.6 km) west-southwest of Loma Rica, at an elevation of 194 feet (59 m). Kirkville is an Unincorporated Community located in Sutter County, California located 5.5 miles north-west of Robbins, California. Lodoga (also, Ladoga) is a census-designated place in Colusa County, California. It lies at an elevation of 1237 feet (377 m). Lodoga's population was 197 at the 2010 census. The postal authorities established a post office at Lodoga in 1898, closed it in 1913, reopened it later in 1913, closed it again in 1917, reopened it again in 1924 and closed it for good in 1954. The locality stands at the southern end of the East Park Reservoir, formed by the 1910 East Park Dam. The dam, the reservoir and other surrounding irrigation facilities were one of the first projects undertaken by the United States Bureau of Reclamation. Loma Rica is a census-designated place in Yuba County, California, United States. The population was 2,368 at the 2010 census, up from 2,075 at the 2000 census. Loma Rica is located 15 miles (24 km) northeast of Marysville. Maxwell (formerly, Occident) is a census-designated place and farm community in Colusa County, California. It lies at an elevation of 92 feet (28 m). Located off Interstate 5, it is home to Maxwell High School. The main crop grown is rice, though a variety of others such as grapes, almonds, squash, and sunflowers are grown as well. Maxwell's population was 1,103 at the 2010 census.